With all my recent talk about cold weather accessorizing, how could I forget the ubiquitous blanket scarf? This year, I've added a new red plaid one to my arsenal thanks to Dynamite. It's the coziest thing ever and it's actually been doubling as a full-on blanket in my cold office! Ooh, I LOVE this scarf. Dynamite is one of my faves, I would say a good 80% of my clothes are from there. Also, you are gorgey gorgey! Ah, you are the sweetest <3 I also love Dynamite's re-branding... so many cute things in store now! This is gorgeous! I love the check print! 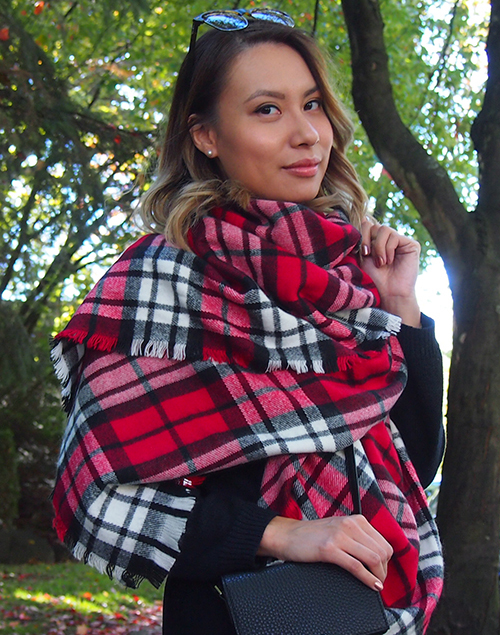 what a beautiful blanket scarf! 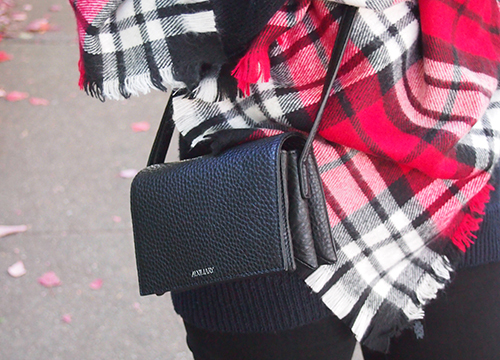 I love scarves for AW, they make any outfit better and this one is gorgeous! Wow I am so loving that scarf girlie! !